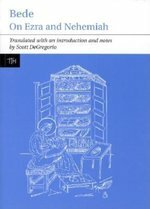 This volume provides an anthology of about 40 primary source documents that describe the work of religious communities that took care of pilgrims and the sick in the late antique and early medieval world. The project identifies letters, diary accounts, instructions, sermons, travelogues, and community records and rules that give us a window into a world of early communities that saw it as their duty and their privilege to care for the sick, to safeguard the pilgrim, and to host the stranger. Each document is placed in historical, geographical, and social context as it contributes to an emerging picture of these communities. The volume addresses the motivations and practices of communities that risked extending hospitality. Why did these communities take great risks for the socially vulnerable? What stake did they have in pilgrims and the sick? What communal experiences supported and sustained both the communities and their audiences? How was hospitality cultivated? Short, cheap pamphlets were a common sight in early modern England. This work examines how different sections of 16th- and early-17th-century England - Protestant, Puritan and Catholic, the press and the popular stage - sought to enlist these pamphlets for their own purposes. A study of the relation of religion and political thought during the English Revolution, Mark R. Bell's Apocalypse How? challenges earlier historical claims that early Baptists "hardly had any political opinions at all". This reexamination demonstrates that Baptists were close to the secular radicals who became known as the Levellers and to the more religious revolutionaries known as the Fifth Monarchists. The reintegration of the religious and political aspects of their thought reveals Baptists as a movement capable of generating support for both radical groups. In clear and lively prose, Bell discusses the transformation of Baptists from an aggressively critical sect to one more accommodating to its larger culture. This development is identified with two changes in Baptist views of the end time. The first of these was an overall decline in eschatological enthusiasm during the 1640s, while the second was the way apocalyptic language among Baptists gradually came to refer more to endorsing society than to transforming it. This engaging study is a solid contribution to the historiography of the earliest Baptists. 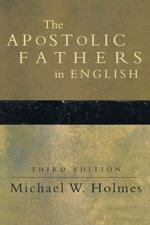 The Apostolic Fathers is an important collection of writings revered by early Christians but not included in the final canon of the New Testament. 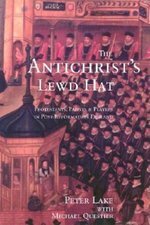 Here a leading expert on these texts offers an authoritative contemporary translation, in the tradition of the magisterial Lightfoot version but thoroughly up to date. The third edition features numerous changes, including carefully revised translations and a new, more user friendly design. 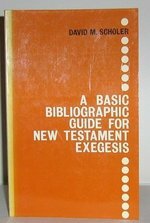 The introduction, notes, and bibliographies have been freshly revised as well. The Christianization of the Roman world lies at the root of modern Europe. Peter Brown's fascinating study examines the factors that proved decisive and the compromises that made the emergence of the Christian conception of existence possible: how the old gods of the Roman Empire could be reinterpreted as symbols to further the message of the Church. Peter Brown also shows how Christian holy men were less representative of a triumphant faith than negotiators of a working compromise between the new faith and traditional ways of dealing with the supernatural worlds. The Avila of Saint Teresa provides both a fascinating account of social and religious change in one important Castilian city and a historical analysis of the life and work of the religious mystic Saint Teresa of Jesus. Jodi Bilinkoff's rich socioeconomic history of sixteenth-century Avila illuminates the conditions that helped to shape the religious reforms for which the city's most famous citizen is celebrated. 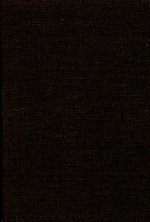 Bilinkoff takes as her subject the period during which Avila became a center of intense religious activity and the home of a number of influential mystics and religious reformers. During this time, she notes, urban expansion and increased economic opportunity fostered the social and political aspirations of a new "middle class" of merchants, professionals, and minor clerics. This group supported the creation of religious institutions that fostered such values as individual spiritual revitalization, religious poverty, and apostolic service to the urban community. According to Bilinkoff, these reform movements provided an alternative to the traditional, dynastic style of spirituality expressed by the ruling elite, and profoundly influenced Saint Teresa in her renewal of Carmelite monastic life. A focal point of the book is the controversy surrounding Teresa's foundation of a new convent in August 1562. Seeking to discover why people in Avila strenuously opposed this ostensibly innocent act and to reveal what distinguished Teresa's convent from the many others in the city, Bilinkoff offers a detailed examination of the social meaning of religious institutions in Avila. 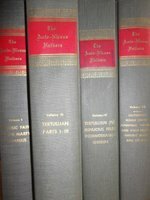 Historians of early modern Europe, especially those concerned with the history of religious culture, urban history, and women's history, specialists in religious studies, and other readers interested in the life of Saint Teresa or in the history of Catholicism will welcome The Avila of Saint Teresa. In this overview of the Baltic region from the Vikings to the European Union, Michael North presents the sea and the lands that surround it as a Nordic Mediterranean, a maritime zone of shared influence, with its own distinct patterns of trade, cultural exchange, and conflict. Covering over a thousand years in a part of the world where seas have been much more connective than land, The Baltic: A History transforms the way we think about a body of water too often ignored in studies of the world's major waterways. The Baltic lands have been populated since prehistory by diverse linguistic groups: Balts, Slavs, Germans, and Finns. North traces how the various tribes, peoples, and states of the region have lived in peace and at war, as both global powers and pawns of foreign regimes, and as exceptionally creative interpreters of cultural movements from Christianity to Romanticism and Modernism. 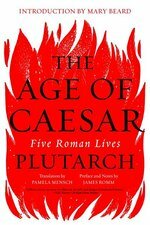 He examines the golden age of the Vikings, the Hanseatic League, Gustavus Adolphus of Sweden, and Peter the Great, and looks at the hard choices people had to make in the twentieth century as fascists, communists, and liberal democrats played out their ambitions on the region's doorstep. With its vigorous trade in furs, fish, timber, amber, and grain and its strategic position as a thruway for oil and natural gas, the Baltic has been--and remains--one of the great economic and cultural crossroads of the world. 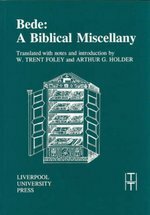 This volume contains six of Bede's shorter biblical writings, most of which appear here in translation for the first time - On Tobias, On the Resting Places, Thirty Questions on the Book of Kings, On Eight Questions, On the Holy Places and the letter On What Isaiah Says. Taken together, they reveal his amazing versatility as a biblical exegete.